'Raising McCain': Not Your Mother's Talk Show The daughter of Arizona Sen. John McCain has made a name for herself with her very own brand of politics. 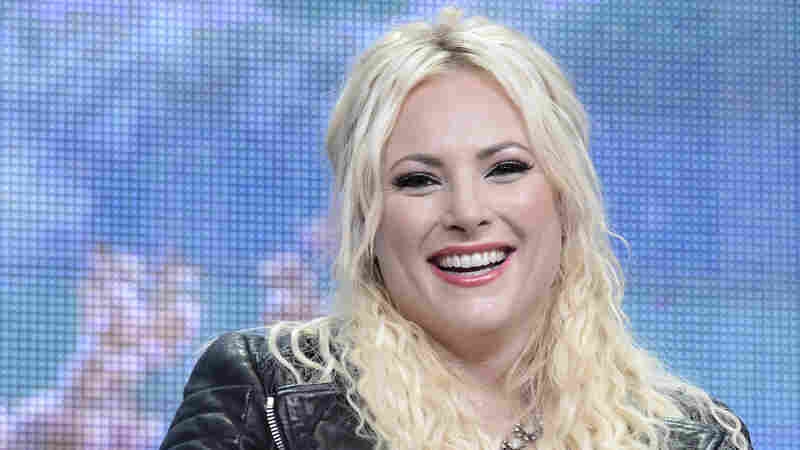 Now Meghan McCain is hosting a new TV show that explores her Generation Y perspective. 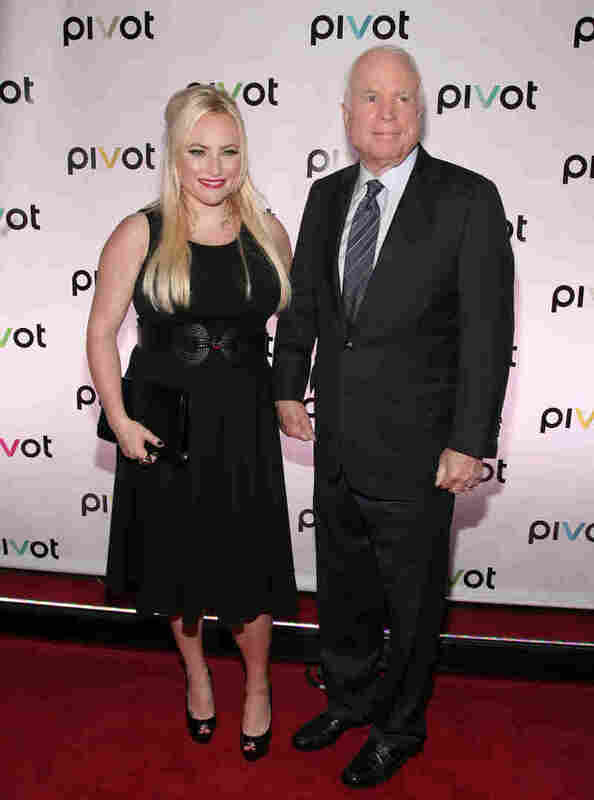 Meghan McCain's new TV show, Raising McCain, airs on the Pivot network, a new channel targeting millennials. Meghan McCain comes by her maverick credentials honestly. As the daughter of Arizona Sen. John McCain, she is no stranger to the political limelight. But that doesn't mean she always agrees with her dad or Republican political orthodoxy. It's that unique perspective that is at the center of her new television show, Raising McCain. The newly launched Pivot network describes the program as a hybrid "docu-talk" show. Each episode features a different co-host and is filmed in a documentary style. But don't expect crying on couches or gift baskets under the seat. She's tackling topics like feminism; lesbian, gay, bisexual and transgender rights; and young people in the military with an eye on her millennial target audience. McCain sat down with Tell Me More host Michel Martin to talk about Raising McCain and offer some thoughts on the current government stalemate. In the second episode of Raising McCain, McCain explores what it means to be a feminist. I'm such a child of the '90s. I grew up watching MTV News and watching their "Choose or Lose" correspondents interview my dad. And I always thought they were such interesting, cool people. Tabitha Soren has had such a profound impact on my life. ... I just wanted to do a talk show for young people that was discussing serious issues, but not doing it in a way that talks down to people that don't have it all figured out. You know I've never considered myself a journalist, ever. I've always considered myself a commentator. I mean I was born into a bias. ... If someone wants to watch a more even opinion about coming out in America or gay rights, I'm not the girl for you. I have such a strong opinion. ... What I'm always secretly trying to get is that young Republican kid in the middle of the country who is maybe struggling with how he feels about social issues and just knowing that there are other people out there that struggle with that. McCain and her father, Sen. John McCain, R-Ariz., at a screening for Raising McCain. The government shutdown right now — because we have this innate capability to compromise and work together — it makes me so sad. I don't know when we're going to this tipping point where hopefully things will come back around. But I was just talking to my father on the phone right before I came in here to do this interview and he's saying that this is the worst time in Congress he's ever seen in his entire career. I mean, what does that say? I blame cable news. I blame politicians as well. But at a certain point, I don't understand some portion of the American public that supports radical personalities. I've never understood it. I always want to compromise, and I always want to find the other side of the opinion and see if I may be wrong. I'm open to my opinion being changed. I'm open to the idea that I could be wrong. And it's just scary, crazy times that we're living in. And Congress is a bunch of petulant children that can't work together.